In her first solo exhibition in Chicago, visual artist Yesenia Bello presents new works that respond to the gradual loss of two languages -- Spanish and English -- and the inability to identify with either of them over time. 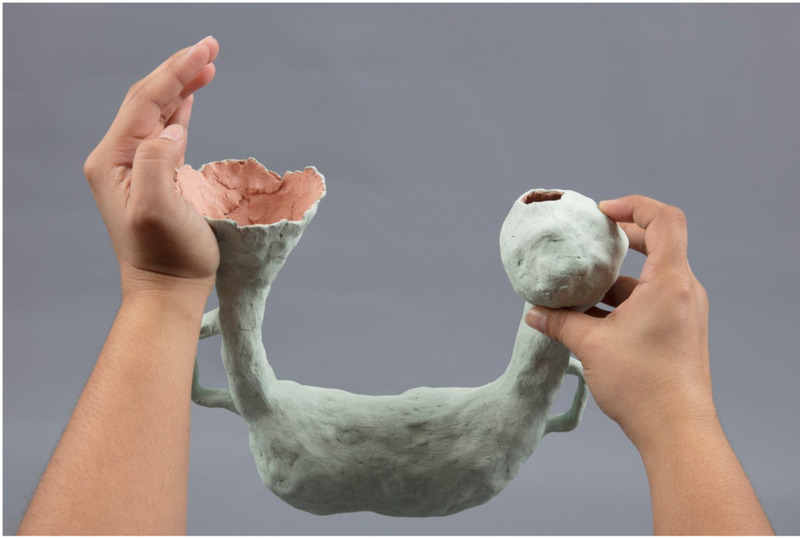 My mouth is a motherlode includes a series of small ceramics, drawings, and a hanging installation that enact the visual manifestation of the artist’s personal experiences of dealing with lingual entropy and reconciliation. Teresa Silva is the Director of Exhibitions & Residencies at the Chicago Artists Coalition, where she creates a supportive space for artists to engage with one another through dialogue and collaboration. Teresa works in tandem with artists and curators to advance their creativity by connecting them with leading professionals and encouraging experimentation in their work. As a writer and curator, she has written exhibition essays and co-organized shows at 6018North, the African-American Cultural Center at the University of Illinois-Chicago, Comfort Station, Defibrillator Performance Art Gallery, DEMO Project, The Franklin, the Jane Addams Hull-House Museum, the Soap Factory, and Tiger Strikes Asteroid. Teresa Silva serves as board president for VGA Gallery and board member for Heaven Gallery. She is a member of the Chicago-based artist collective, Tiger Strikes Asteroid. Teresa is a 2018 recipient of a Robert Rauschenberg Residency and a 2017 Diversity + Leadership Fellowship with the Alliance of Artists' Communities.